Today, Mercedes-Benz announced the price of its 2016 Mercedes-AMG G65, which will be introduced to the market in November of this year. The incredibly exclusive car (so exclusive that Mercedes hasn’t yet provided any photos) retails at an MSRP of $217,900—and no, that’s not an April Fools’ joke. In fact, the 2016 G65 is the fourth model in the AMG lineup to be priced above $200,000. The other three models are the SL65 at $215,250, the S65 Sedan at $222,000, and the S65 Coupe at $230,900. 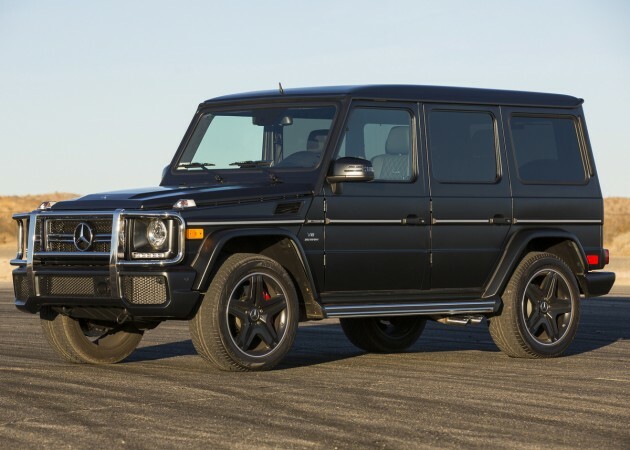 The 2016 Mercedes-AMG G65 price does not include the $925 destination/delivery charge. A V12 bi-turbo engine motivates the G65, laying out 621 hp and 738 lb-ft of torque. The 2016 model can rocket from 0 to 60 mph in just 5.3 seconds. Other stats and a list of features have not yet been made available; Mercedes promises those closer to the November launch, so keep checking in with us at The News Wheel this summer and fall.